SOLD!!! 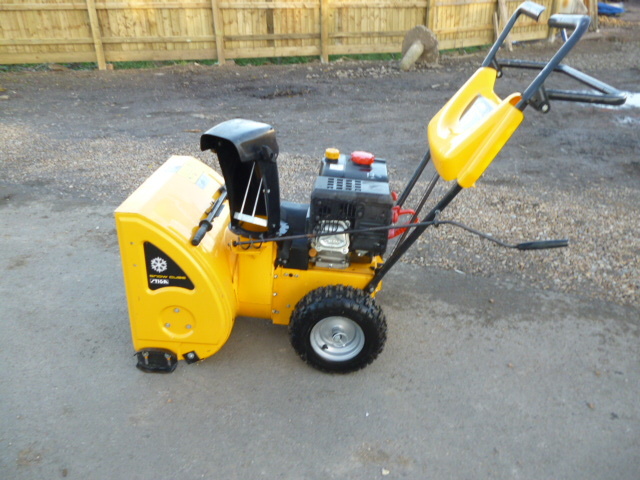 STIGA PETROL ST 601A SNOW CUBE BLOWER SOLD! 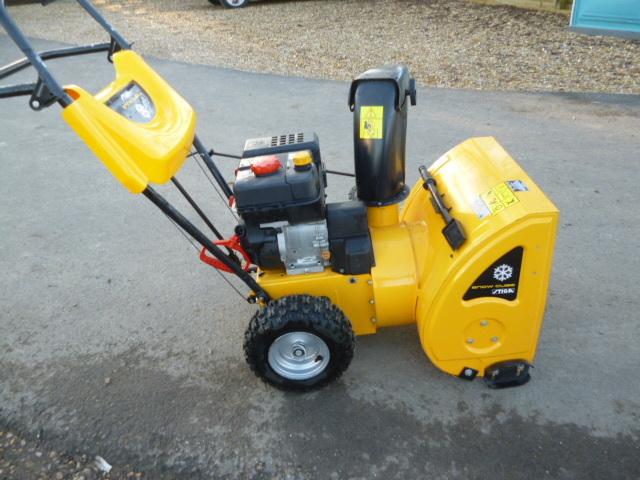 Brief Description: ***UNUSED*** From Stiga, the Snow Cube Dual-Stage Petrol, Self-Propelled Snow Blower. 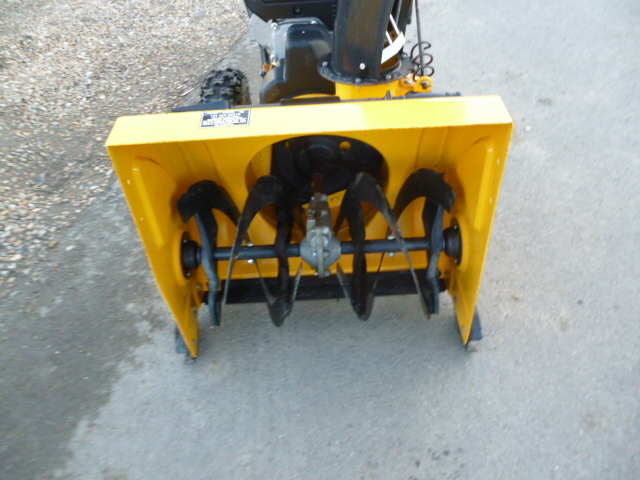 This will clear even compacted snow, from most surfaces and can clear medium sized premises, paths and driveways. The engine that drives the Stiga Snow Cube is a 212cc, a GGP SM 70 four-stroke overhead valve, designed to keep going easily in freezing temperatures. The engine features a recoil start with an extra large handle so you can use it with gloves on. 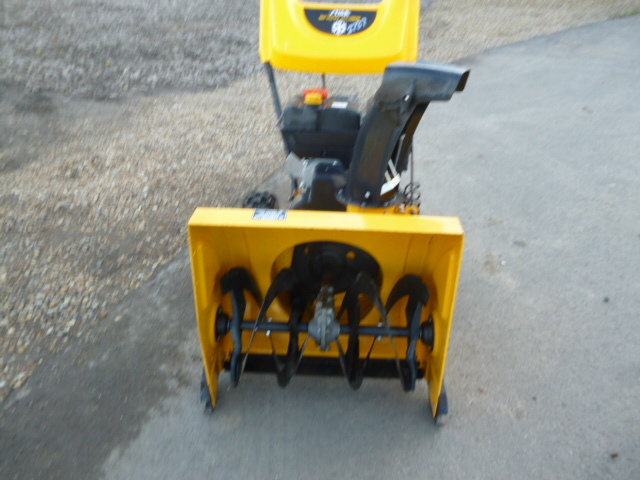 A dual-stage machine, it features both a strong, front-mounted, toothed auger to break up the snow and then an impellor mounted behind it to throw the broken snow up and out of an exit chute. There are five forward and two reverse gears on the Stiga Snow Cube so manoeuvring and handling is made easy, enabling you to clear right up to edges, walls or borders with accuracy. Heavy-duty tyres - 'snow-hogs' - fitted to the wheels ensure stability and traction in slippery conditions and on all types of terrain. This model is fully height adjustable so you can work at the optimum position and avoid back strain. There are adjustable snow shoes fitted to the auger hood, enabling it to clear the ground at different heights so you can work on a variety of surfaces, like gravel or shale, without picking up and throwing unwanted material. The clearing width of the Stiga Snow Cube Dual-Stage Snow Blower 56c centimetres and the snow intake height is 50 centimetres to ensure great snow clearing results on medium sized drives patios or yards. The Snow Cube's impellor distributes the snow at a distance of up to nine metres, through the snow exit chute, which is constructed from cold-resistant and durable steel. The chute can rotate through 190° and this is controlled from the handlebar by means of a handy lever. Single-hand control makes handling the Snow Cube a pleasure, and means you can carry out chute rotation on the fly, without stopping.